I’m not trying to be argumentative, just curious. 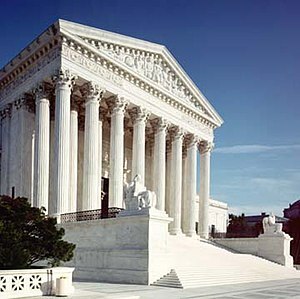 The current Court has struck down most recent attempts of states and municipalities to regulate arms. The NRA wages legal and electoral campaigns against anyone who breathes a hint to restrain a “right to bear arms“. The U.S. Congress, as well as the President, refuses to consider any restrictions. 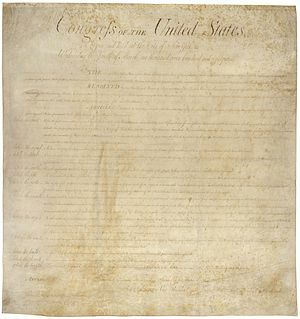 The Supreme Court in the past few decades, has trashed the Constitution and allowed lots of infringing against the right of the people to keep and bear arms. Finally Illinois forced the issue with an obvious hit against the collectivist misinterpretation, and ruled that it was an individual right, not a state militia right. 2nd Amendment: A well regulated militia, being necessary to the security of a free state, the right of the [government???] to keep and bear arms, shall not be infringed. [Cue riotous laughter at that…]. “free” state, the right of the government to bear arms shall not be infringed. Under this misinterpretation, the Second Amendment would presumably include the right to “bear” nuclear weapons. So, are Steve and I permitted to own (keep) and use (bear) nuclear weapons (again, sorry, Norm, you were born on the wrong side of the pond)? If not, why not? That is, if I can keep and bear an AK-47 or AR-15 why not a thermonuclear device? There are MUCH WORSE people than you or Steve that already own (as in possess the use of) nuclear weapons. …But some 130 hostages died – most not at the hands of the gunmen and women, but apparently because of the effects of the gas…. #3. Another one has arrogated to himself the illegal and unconstitutional “authority” to order secret kills on anybody he wants to anywhere in the world and has done it with full public knowledge. He (and his subordinates in command) continue their and unconstitutional and interventionist wars in five foreign countries. For survivors, he has put command-and-control death panels in their future. Special treatment for special friends. Rational people would demand all means possible to defend themselves against these obvious pathological maniacs, ruthless killers. And the list above is of the ones currently in possession of the worst nuclear weapons in the world. It does not include criminal dictators and rulers from the past or the future. I’m serious. I admit that a reasonable person would not want Jason to have a tight rubber band, much less a nuke, but seriously should that be a limitation (no matter how logical and reasonable)? Instead is there case law which delineates what is protected by the 2nd amendment and not? Perhaps case law defines “arms”, which means that there would be a line in the sand; what is that line? I.e., what is protected and what is not? Case law is worse than useless when it numbs the mind of erudite attorneys at law and of citizens who accept it. Case law changes on the whim of those who make it, including 100s of reversals by the most respected Court in the world, the U.S. Supreme Court. Their ruling on the Republicans’ Civil RIghts Act in the 1960s reversed the Dred Scott case, for which you cannot find one little phrase of justification in even the slaver-protecting Constitution. 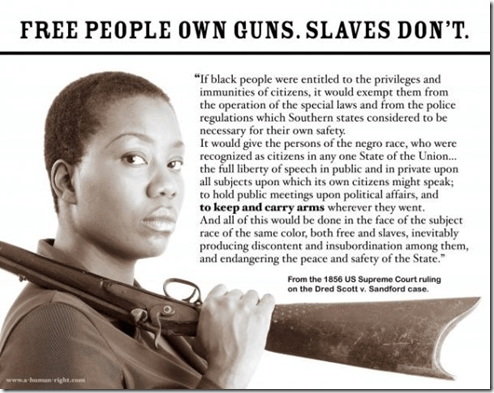 (Justification was provided by the horror they felt at the prospect of blacks being able to carry arms, because if they are free men they carry arms). And some people out there in the cackling industry actually try to pretend it means that governments have the right to arm themselves! Imagine that! Next thing they’ll pass a law that says chickens shall lay eggs and water shall flow downhill! At least those amendments and laws would make lots more sense than the sewage pouring forth from looters’ governments today! This is the very biggest thing that ought to lead in all the news stories, but Orwellian Media is beating the drums over one isolated killing in Floria instead. There’s a good reason for that. The vast overwhelming majority of Americans STILL HATE this shameless nationalization of the entire medical industry under the complete control of Washington, down to the smallest details. The worst thing that they are assuming in favor of this abomination is the claim that everyone participates in the health care market, and they’re just making people pay that otherwise would not. For one thing, the opponents can’t point to the obvious fact that this interstate commerce only involved commerce that occurs between two states. No way you can torture intrastate commerce from the claim that a market exists in two states at once. They gave that up to precedent a long time ago. How do they know that there is not a group of people that will never use the kind of services this covers? In fact we already know of the Christian Science group that avoids it, and the Amish that live pretty healthy lives and it is likely that many of them do not. If the Supreme Court lets this go, this is like the last straw that makes obvious the historical errors that led us to this point, they will show that they don’t care. Every vote in favor is treason to the obvious spirit and letter of the Supreme Law of the Land, the US Constitution. Render unto Caesar: the Caesar, the supreme ruler in our land, is the people, as long as they are acting within the confines of the Constitution. Romans 13 says we must obey the People within the Golden-Rule derived natural human rights, at least those in the Bill of Rights. The right to be secure in our homes, property, effects, is violated when you don’t know what capricious decision may emanate from the tax collectors and the money changers in Washington. What would Jesus do? We remember he made a big long nasty whip to chase out the money changers. Maybe she doesn’t like it because as a former ACLU member she supported the kinds of things like prenatal infanticide and restrictions on political campaigns and government-controlled campaign rules and censoring of religious thought, that are so unconstitutional that the linguistic contortions the Supreme Court had to go through when they decided them could only be appreciated by lawyers indoctrinated in the ideas of legalese, a language derivative of Orwellian Doublespeak. Oh the hypocrisy. These same “liberals” did not complain about the foot-dragging so-called “vote count” that put failed Air America talk show host Al Franken into Congress.